Quick, bold, brawny. 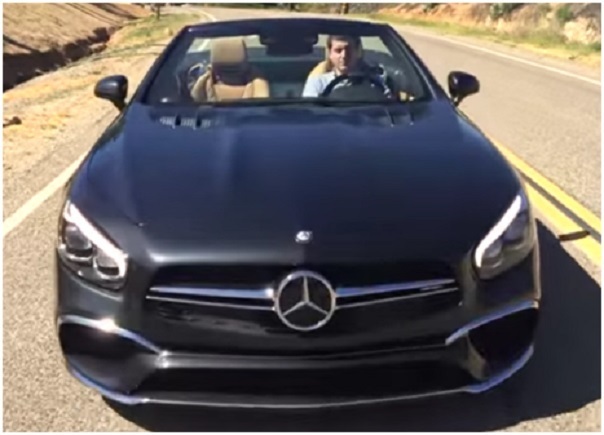 Space convertible, with the space cost and speed — Mercedes-Benz AMG SL65 2016. Outside Mercedes AMG SL 65 suffered slight rhinoplasty. SL65 model has chrome trim aggressive air intakes, a modified grille trim and shiny edges spilettera. The wide hood and menacing headlights with LED «eyebrows» remained unchanged. On the side, the bronze brake calipers with carbon-ceramic brakes peek out from behind the 20-inch wheels. Dynamic lines and curves create an effect of movement, even when the convertible Mercedes stands on the site. The back part was modified headlights, petals, as well as other Quartet frame pipes of the exhaust system. If excessive gloss is not for you, Mercedes offers a package Night and additional elements of carbon fiber. How fast is «designed» quick upper hand over his head, the company did not tell. Inside, with gigantic seats nappa leather, have been installed analog clock on the center dashboard, enhanced diagonal display multimedia system, as well as the revised form of «fleshy» steering. Under the hood, a melody sounds manual assembly — a 6.0-liter twin-turbo the V12, which promises power over 630 hp power and 1001 Nm of torque. 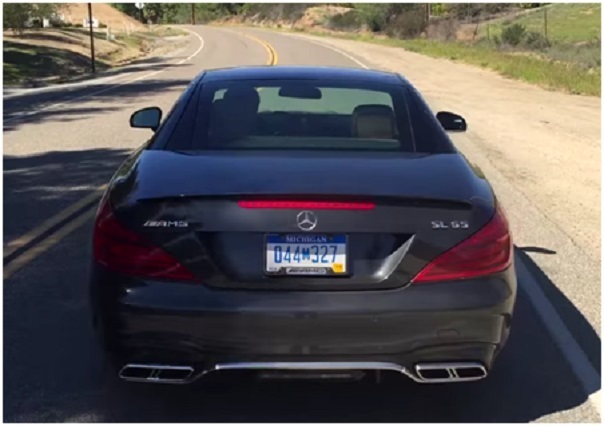 Each horsepower clearly «heard» through a titanium exhaust pipes. 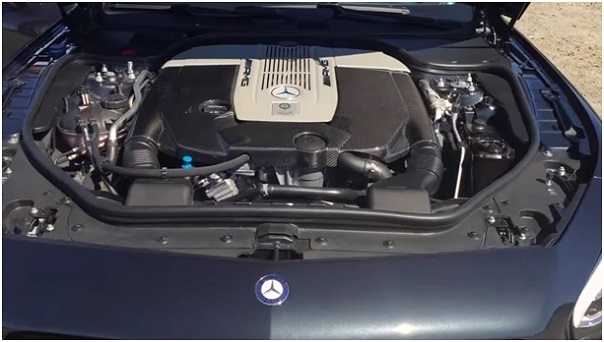 The companions of the engine identified automatic transmission AMG Speedshift Plus 7G-Tronic. Maximum speed is electronically limited to 300 km / h. Start from zero to a hundred only takes 4 seconds, during which the sound of thunder is heard in the ears, if not raise the roof. Various settings mode, allowing to adjust the car in each «note» to suit your riding style. 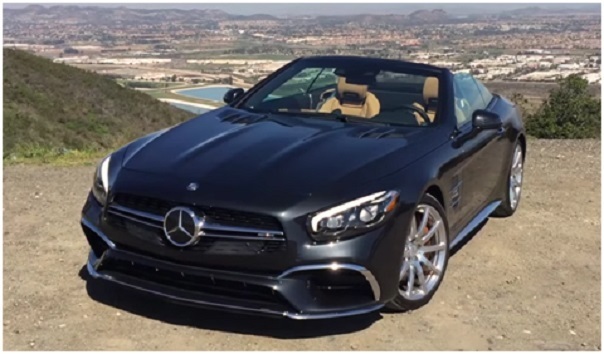 German convertible Mercedes-AMG SL65 2017 — it is not just the ticket to a happy life, but also your personal Intercity Express, worth 16.7 million rubles. 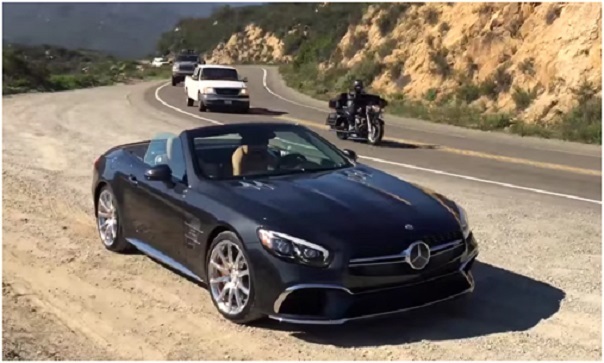 If you want to save a couple of million, note the model of Mercedes-AMG SL63.